The mood is sombre, pensive and mysterious. The subject looks on, seemingly lost in a world of daydreams as children would be. His cheeks, plump and rosy are slightly puffed as he pulls his mouth in an almost defiant pout. Viewers almost wonder what is going on in the boy’s head as the vignette effect gives the entire piece a vintage-like and antiquated atmosphere to it. The artist is the critically acclaimed and award winning eldest son of Dato’ Chuah Thean Teng and has also had his works shown in international exhibitions. 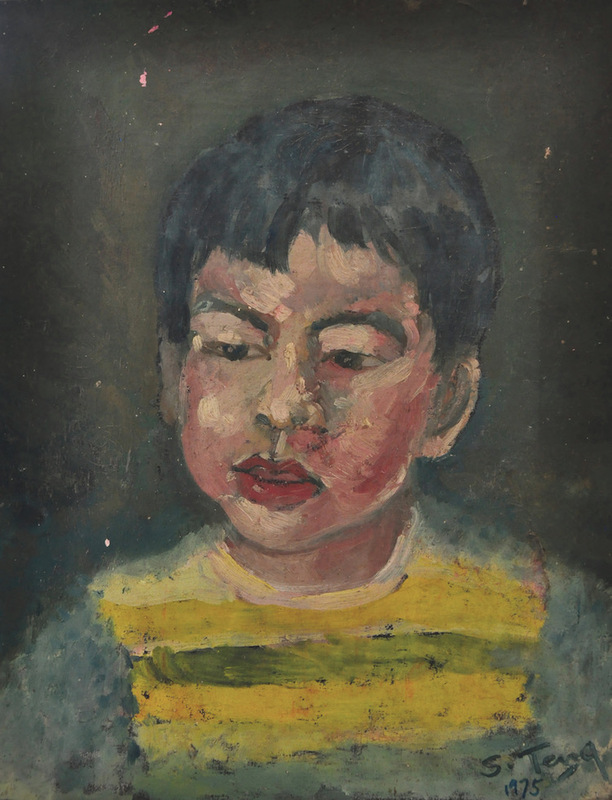 Siew Teng has won many art awards even before obtaining a formal art education at the Ravensburne College of Art and City & Guild Art School in England in 1965. His art focuses on a modernist interpretation of Malaysian culture. He lived abroad for quite awhile, mainly England.